TCL Chinese Theatre is a movie palace on the historic Hollywood Walk of Fame at 6925 Hollywood Blvd. in Hollywood, California. Originally named and still commonly known as Grauman's Chinese Theatre, it was renamed Mann's Chinese Theatre in 1973; the name lasted until 2001, after which it reverted to its original name. On January 11, 2013, Chinese electronics manufacturer TCL Corporation purchased the facility's naming rights, under which it is officially known as TCL Chinese Theatre. The original Chinese Theatre was commissioned following the success of the nearby Grauman's Egyptian Theatre, which opened in 1922. Built by a partnership headed by Sid Grauman over 18 months starting in January 1926, the theater opened May 18, 1927, with the premiere of Cecil B. DeMille's The King of Kings. It has since been home to many premieres, including the 1977 launch of George Lucas' Star Wars, as well as birthday parties, corporate junkets, and three Academy Awards ceremonies. Among the theatre's most distinctive features are the concrete blocks set in the forecourt, which bear the signatures, footprints, and handprints of popular motion picture personalities from the 1920s to the present day. After his success with the Egyptian Theatre, Sid Grauman turned to Charles E. Toberman to secure a long-term lease from Francis X. Bushman on property at 6925 Hollywood Blvd., the site of Bushman's mansion. In appreciation, a plaque was installed on the front of the theater dedicating it to Bushman. Toberman contracted Meyer & Holler, designer of the Egyptian, to design a "palace-type theatre" of Chinese design. Grauman financed the theater's $2.1 million cost and owned a one-third interest in the Chinese Theatre; his partners—Mary Pickford, Douglas Fairbanks, and Howard Schenck—owned the remainder. The principal architect was Raymond M. Kennedy of Meyer & Holler. During construction, Grauman hired Jean Klossner to formulate an extremely hard concrete for the forecourt of the theater. Klossner later became known as "Mr. Footprint", performing the footprint ceremonies from 1927 through 1957. Still another account by Klossner recounts that Klossner autographed his work next to the right-hand poster kiosk and that Grauman and he developed the idea then and there. His autograph and handprint, dated 1927, remain today. (Note: In 1949, Klossner's story changed to say that Grauman had accidentally stepped into the wet concrete.) The theater's third founding partner, Douglas Fairbanks, was the second celebrity after Talmadge to be immortalized in the concrete. One of the highlights of the Chinese Theatre has always been its grandeur and décor. In 1952, John Tartaglia, the artist of nearby Saint Sophia Cathedral, became the head interior decorator of the Chinese Theatre, as well as the theater chain then owned by Fox West Coast Theatres. He later continued the work of Klossner, by recommendation of J. Walter Bantau, for the Hollywood footprint ceremonies. Tartaglia performed his first ceremony as a Master Mason for Jean Simmons in 1953, for the premiere of The Robe, the first premiere in Cinemascope. Although replacing Klossner was initially thought to be a temporary job for Tartaglia, his dedication resulted in a 35-year career in which he last performed as the master mason/concrete artist in honor of Eddie Murphy in May 1987. 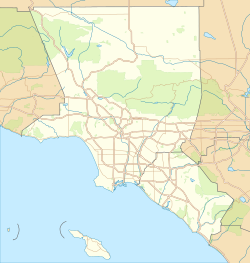 Tartaglia was formally recognized by the City of Los Angeles in October 2011. The Chinese Theatre was declared a historic and cultural landmark in 1968, and has undergone various restoration projects in the years since then. Ted Mann, owner of the Mann Theatres chain and husband of actress Rhonda Fleming, purchased it in 1973. 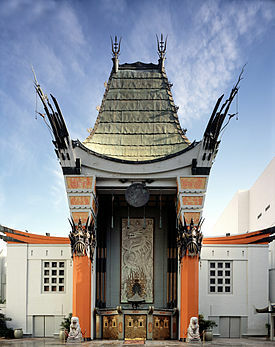 From then until 2001, it was known as Mann's Chinese Theatre. Mann Theatres grew to become the largest independent chain in the country before Mann sold the business, including the Chinese Theatre, to Gulf & Western in 1986. In 1988, Time Warner predecessor Warner Communications Inc. bought a 50% stake from Gulf & Western for $150 million. The theater chain was eventually sold to WestStar Holdings in 1997. In 2000, a partnership of Warner Bros. and Paramount Pictures acquired the theater, along with the other Mann Theatres properties. In 2000, Behr Browers Architects, a firm previously engaged by Mann Theatres, prepared a restoration and modernization program for the structure. The program included a seismic upgrade, new state-of-the-art sound and projection, new vending kiosks, and exterior signage, and the addition of a larger concession area under the balcony. The program began in 2002 and restored the original name—"Grauman's Chinese Theatre"—to the cinema palace. As part of the upgrade, Behr Browers also designed a new Chinese-themed six-plex in the attached Hollywood and Highland mall that continued to operate under the name Mann's Chinese 6 Theatre. 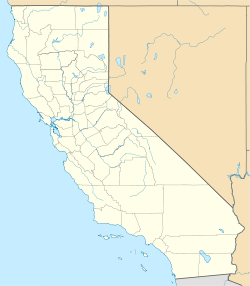 In 2007, the CIM Group purchased the land on which the theater sits for an undisclosed price from the Damon Runyon Cancer Research Foundation of New York and Barlow Respiratory Hospital of Los Angeles. CIM Group also owns the Hollywood and Highland retail mall, as well as numerous other residential and commercial properties in Hollywood. On May 27, 2011, Chinese Theatres LLC, a partnership owned by producer Elie Samaha and Donald Kushner, purchased both Grauman's Chinese Theatre and the adjacent Mann Chinese 6. The exterior of the theater is meant to resemble a giant red Chinese pagoda. The design features a Chinese dragon across the façade, with two authentic Ming Dynasty guardian lions guarding the main entrance and the silhouettes of tiny dragons along the sides of the copper roof. The idea was to give viewers a sense of China, of which most Americans knew very little about. The freestanding ticket booth installed in the 1930s and the left and right neon marquees have been removed, restoring the theater to its original appearance. The auditorium has been completely restored, along with much of the exterior; however, wear and tear on the physical structure over the years has caused some of the external décor to be removed. The Chinese Theatre hosted the 1944, 1945, and 1946 Academy Awards ceremonies; they are now held at the adjacent Dolby Theatre, formerly known as the Kodak Theatre. TCL Chinese Theatre continues to serve the public as a first-run movie theatre. The Chinese Theatre was the first commercial movie theater to have air conditioning. The vents are concealed behind the imported decorative pillars on the side walls of the auditorium. A concession stand was not in the theater's original plans because Grauman thought it would detract from the "theatrical experience". The theater began to sell concessions in the 1930s. Celebrities contributed to the theater's decor. Xavier Cugat painted the trees and foliage between the pillars on the side walls. Keye Luke painted the Chinese murals in the lobby. Many older entries contain personal messages to Sid Grauman, such as Myrna Loy's 1936 contribution. Loy's first job was as a dancer at the theatre in the 1920s. Nearly 200 Hollywood celebrity handprints, footprints, and autographs are in the concrete of the theater's forecourt. Fairbanks and Pickford were the first, done on April 30, 1927. Variations of this honored tradition are imprints of the eyeglasses of Harold Lloyd, the cigar of Groucho Marx, the dreadlock of Whoopi Goldberg, the wands used by Harry Potter stars Daniel Radcliffe, Rupert Grint and Emma Watson, the facial profile of John Barrymore (reflecting his nickname "The Great Profile"), and the legs of Betty Grable. Western stars William S. Hart and Roy Rogers left imprints of their guns. Herbie, a Volkswagen Beetle, left the imprints of his tires. The hoofprints of "Tony", the horse of Tom Mix, "Champion", the horse of Gene Autry, and "Trigger", the horse of Rogers, were left in the concrete beside the prints of the stars who rode them in the movies. Since 2011, a surge of concrete ceremonies has occurred, many of which have been paid for by movie studios for publicity reasons. One of the theater's current owners, Donald Kushner, acknowledged this and referred to them as mock ceremonies. This influx has been a matter of concern for film buffs and historians, as well as misleading for fans. However, despite the increase of concrete blocks, the ones placed within the forecourt are still chosen by a special committee which selects celebrities based on their contributions to Hollywood cinema. Practice blocks, completed inside the theater before the ceremony, are placed on the walls of the Chinese 6 Theatre lobby, which is also used as an event space. In April 2013, owners announced plans to convert the original theatre for IMAX. The new 94 ft × 46 ft (29 m × 14 m) silver screen is curved and can be masked for premieres and screening events of non-IMAX films. To accommodate better sightlines and a taller screen, seating was re-arranged in stepped rows, descending from street level to the floor of the former basement. The auditorium's decorative walls and ceiling remain unaltered, the existing curtain was extended, decorative lighting effects were added and TCL added digital signage. The theatre reopened on September 20, 2013, with the IMAX 3D version of The Wizard of Oz. Although it opened with only a digital projection system, a 70 mm projection system was added for Interstellar. In April 2015, the IMAX system was upgraded to use the new dual-4K IMAX with Laser projector system for the premiere of Furious 7. A full-scale recreation of the Chinese Theatre's exterior and lobby was built at Disney's Hollywood Studios theme park at the Walt Disney World Resort in Bay Lake, Florida. The building formerly housed a ride called The Great Movie Ride. It will be the future home of Mickey & Minnie's Runaway Railway. It also has concrete handprints inside the sidewalks from the years 1988–1995. A sized-down recreation of the Chinese Theatre, both interior and exterior was built at Parque Warner Madrid theme park in San Martín de la Vega, near Madrid, Spain. The building shows films relevant to Warner Bros., previously The Lego Movie and Storks. During Halloween, horror films for guests over the age of 18 are shown such as Friday the 13th. ^ a b "IMAX at the TCL Chinese Theatre". TCL Chinese Theatres. Retrieved 2014-02-04. ^ Verrier, Richard (January 11, 2013). "China firm buys naming rights to Grauman's Chinese Theatre". Los Angeles Times. Retrieved 2014-02-04. ^ a b c "Chinese Theatres – History". Mann Theatre. Archived from the original on 2011-05-31. Retrieved 2014-02-04. ^ "Today in History: Star Wars Premieres in 1977". Lomography.com. May 25, 2011. Retrieved 2014-02-04. ^ a b c d e f g King, Susan (May 11, 2017). "Celebrating 90 years of Hollywood history on the Chinese Theatre's anniversary". Los Angeles Times. Retrieved May 18, 2017. ^ Spicer, Chrystopher J. (October 14, 2011). Clark Gable, in Pictures: Candid Images of the Actor’s Life. McFarland. p. 47. ISBN 9780786487141. ^ Davis, Laura E. (March 13, 2014). "Throwback Thursday: The story behind stars' handprints in Hollywood". Los Angeles Times. ISSN 0458-3035. Retrieved April 15, 2019. ^ a b Endres, Stacey; Cushman, Robert (June 1, 2009). Hollywood at Your Feet: The Story of the World-Famous Chinese Theater. Pomegranate Press. ISBN 9780938817642. ^ Kishi, Russell (September 18, 1988). "Chinese Theater: The Tourists Still Make Tracks to Hollywood Shrine". Los Angeles Times. United Press International. ISSN 0458-3035. Retrieved April 15, 2019. ^ "City of Los Angeles Resolutions, October 26, 2011" (PDF). Retrieved April 15, 2019. ^ "Ted Mann, 84, Who Owned Theater Where the Stars Preserve Their Prints". The New York Times. January 22, 2001. Retrieved April 19, 2019. ^ "Company News; G.&W. Acquisition". The New York Times. October 18, 1986. Retrieved April 19, 2019. ^ "Company News; Warner to Buy Theater Stake". The New York Times. February 20, 1987. Retrieved April 19, 2019. ^ "'Chinese Theatre' owner agrees to aqcuisition by WestStar Holdings". AP News. November 25, 1997. Retrieved April 19, 2019. ^ "Studio Partnership Buys Mann Theatres". Los Angeles Times. January 13, 2000. Retrieved February 4, 2014. ^ "Grauman's Chinese Theatre". Behr Browers Architects. Archived from the original on January 12, 2015. Retrieved February 4, 2014. ^ Vincent, Roger (September 3, 2007). "Famed Chinese Theatre is sold". Los Angeles Times. Retrieved 2014-02-04. ^ Miller, Daniel (April 28, 2011). "Grauman's Chinese Theatre to Be Sold to Producers Elie Samaha, Don Kushner". The Hollywood Reporter. Retrieved February 4, 2014. ^ Cornfield, Gregory (May 10, 2017). "90 years of Lights, Camera, Action!". Beverly Press. Retrieved April 15, 2019. ^ "Academy Awards, USA". The Internet Movie Database. Retrieved April 17, 2007. ^ Conradt, Stacy (April 29, 2011). "The Quick 10: 10 Interesting Prints at Grauman's Chinese Theater". Mental Floss. Retrieved April 15, 2019. ^ Woerner, Meredith (May 18, 2017). "All the Hollywood secrets hidden in the handprints at the Chinese Theatre's Forecourt of the Stars". Los Angeles Times. Retrieved April 15, 2019. ^ Kaufman, Amy (2011-12-29). "Grauman's Chinese: Movie star prints' futures not set in cement". Los Angeles Times. Retrieved 20 September 2012. ^ "Top of the World Famous Chinese Theatre". Socialbilitty. February 10, 2014. Retrieved August 25, 2017. ^ "Imax premieres new laser system at TCL Chinese Theatre in Hollywood". Los Angeles Times. Retrieved 30 December 2015. ^ Lambert, Marjie (July 22, 2017). "4 new rides for Disney World: Ratatouille, Tron, Mickey Mouse, Guardians of the Galaxy". Miami Herald. Retrieved April 16, 2019. ^ "Our Hollywood Yard of Fame at Disney's Hollywood Studios". Disney Parks Blog. January 16, 2012. Retrieved April 16, 2019. ^ "Chinese Theater 3D". Parques Reunidos. May 9, 2015. Retrieved October 25, 2018. Wikimedia Commons has media related to Grauman's Chinese Theatre.